Most of the injury causes induce several biomechanical parameters (impacts, pressure, over-pronation, etc.) to reach their limit values. By measuring those biomechanical parameters and giving a feedback to the runner (during running) in order to correct them when necessary, running injuries could be avoided. Moreover, such running injuries could be prevented suggesting personalized training programmes for the runner developed by experts in the field, and offering personalized recommendation based on runner biomechanical parameters. Mobile and web applications, developed by Eesti Innovatsiooni Instituut, are fully integrated over web so that mobile application transmits biomechanical (impact and quaternion variables received from the shoe sensor via Bluetooth), GPS, Heart Rate (HR) and workout data (distance, speed, duration) to web application. Runners can analyse their workout performance, generate personalized training plan and monitor it based on automated recommendations as well as socialize with other runners by using the social media features of the web application. 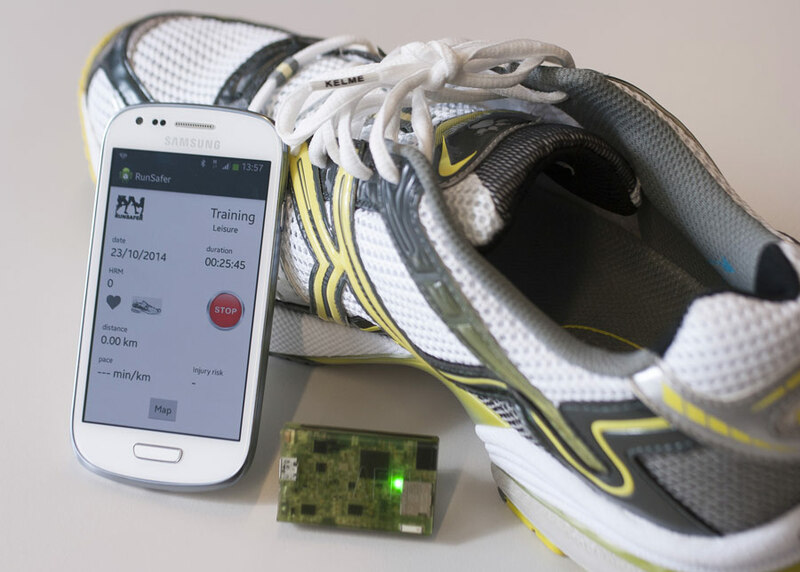 Runners use mobile application during their workout to collect biomechanical data from shoe electronics as well as receive possible feedback related to injury risk. Our client, KELME from Spain, will help with RUNSAFER system millions of runners get injured less often, helping them to be more healthy and to improve musculoskeletal health.